Let The (Puppy Bowl) Games Begin! Last week, we had the extreme pleasure of being a part of the launch of the 2016 Puppy Bowl Fantasy experience! 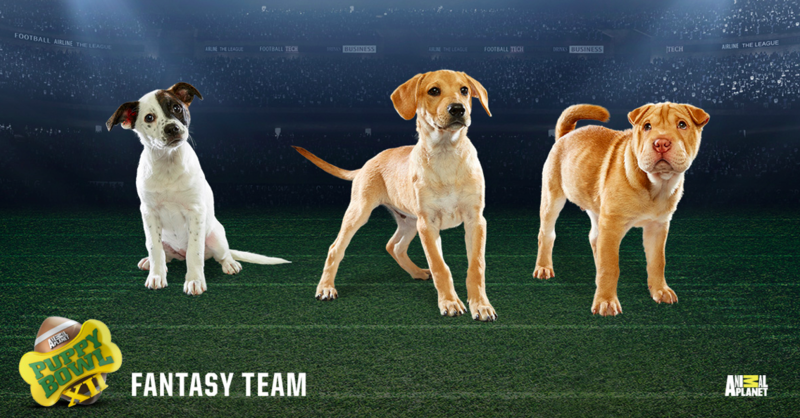 The Puppy Bowl Fantasy Game follows the model of fantasy football. You draft a team, watch as your pups gain and lose points, and find yourself getting absurdly invested in your team's performance. It's become a staple of the Puppy Bowl experience, and something that many of us look forward to each year. As a participant in previous Puppy Bowl Fantasy drafts, I knew going into this project that we were in for a treat. I love sports in general, and fantasy football in particular. Also, the team that worked on this project has a particular appreciation for app development. And there's always a thrill to working on a time-sensitive campaign with a national profile. But who am I kidding -- it was the puppy photos that we loved most! To top off this perfect subject matter, we had the fortune of working with an amazing in-house design and development team over at Discovery Communications, who were flexible and trusting enough to give us the opportunity to work with new technologies and frameworks, including utilizing Firebase and relying on Radium. The Discovery team created visually stunning designs, a great starting point for putting this app together. 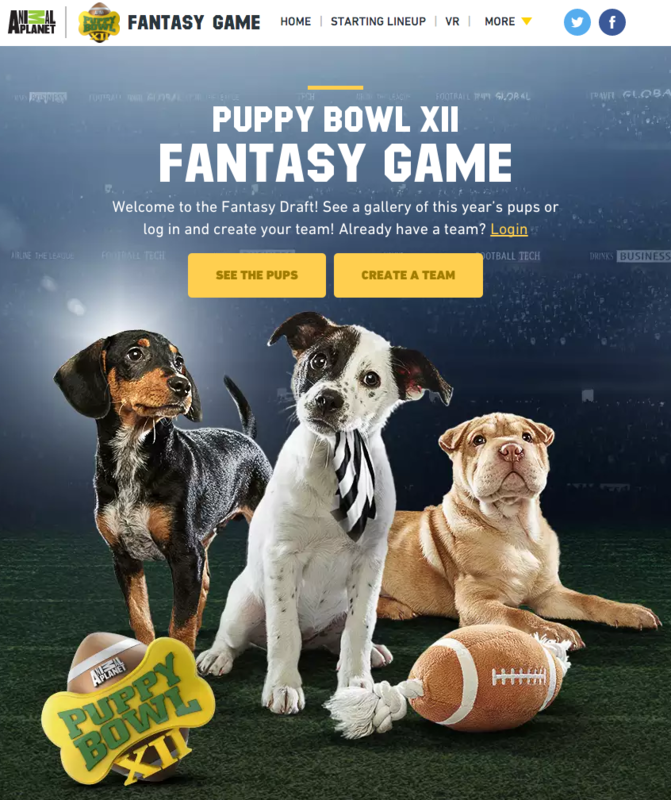 The Viget team developed the client side app, taking a mobile first approach in order to create the perfect companion to watching the Puppy Bowl. Our focus was to make sure the site looks brilliant on mobile, desktop, and everything in between. Reflecting on the experience as a whole, we all agree that this app provided us new challenges, fun collaboration, and a heavy dose of cute puppy pictures. Many of the technology highlights, including our perspective on working with Firebase, will be expanded upon in future blog posts. For now, sit back, scroll through pictures of some adorable puppies, and give your best shot at drafting a championship team. 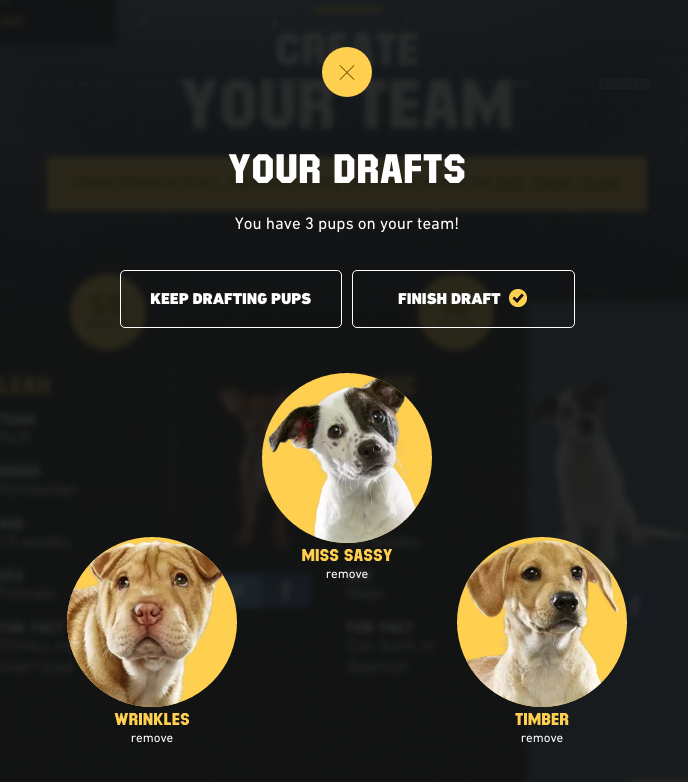 If you are curious how popular the pups are, or just interested in rooting for a true underdog, you'll find a real time draft indicator at the top of the puppy info! 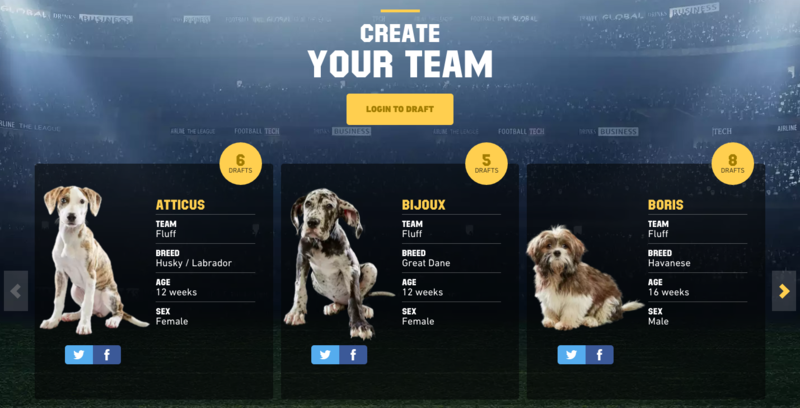 And, once you've drafted the perfect (or at least perfectly cute) team, if you've logged in through Facebook, be sure to take a look at your friends' teams and see how they are doing! After you've got your team ready to go, check back often for additional features (like puppy videos and puppy fun facts) and don't forget to tune into the Puppy Bowl on Animal Planet, February 7th! We also encourage you to wander over to Discovery VR and check out the puppies in virtual reality...that should tie you over until the full airing of the Puppy Bowl. Let the puppy games begin!